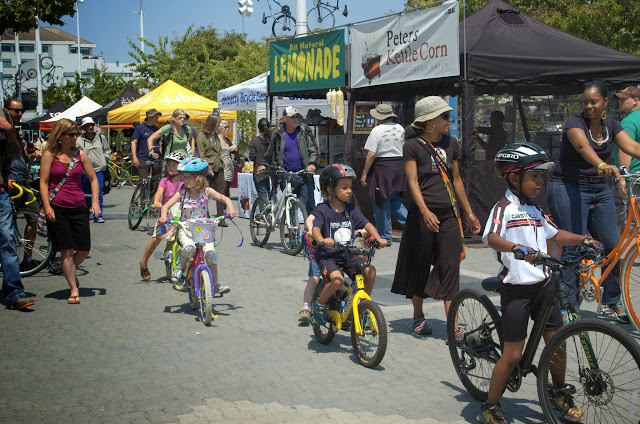 If you didn't go to Pedalfest on Saturday, you missed out on hecka fun in Oakland. I haven't heard attendance figures yet, but there were tons of people out enjoying the bike-themed activities and family fun. The weather was perfect. I helped with setup while the fog kept things cool, then right about the 11am start time, the sun came out and so did the crowds.